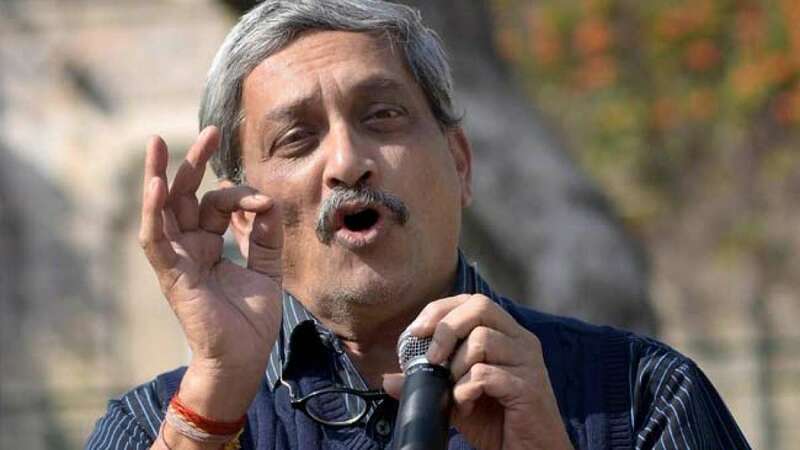 New Delhi : Defence Minister Manohar Parrikar on Saturday took a dig at Delhi Chief Minister Arvind Kejriwal, who recently underwent a tongue surgery, said, Kejriwal's tongue had to be trimmed as he spoke much against Prime Minister. While addressing party workers in Goa, “In Delhi Arvind Kejriwal speaks against Prime Minister Narendra Modi and in Goa he speaks against me. Due to this his tongue has grown big, and now it had to be trimmed." However Parrikar showed sympathies to the Delhi CM and added, "I sympathise with him as he is on sick leave." And her further took a jibe at the AAP leaders for abandoning Delhi when the state was reeling under chikungunya and dengue. # Manohar questioned AAP leaders that, “If Mohalla clinics had been effective then how come 40 people died due to chikungunya. # AAP leaders are out on world tour they are running away from their responsibilities. # It may be mentioned here that Delhi’s deputy chief minister Manish Sisodia in Finland. # The concept of mohalla clinics is "unwarranted" as BJP-led government has already made treatment in the private hospitals and government-run hospitals free of cost.